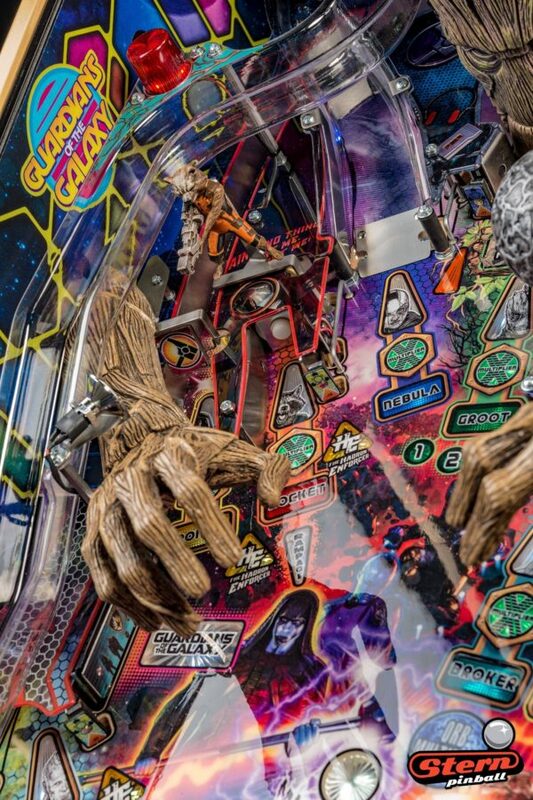 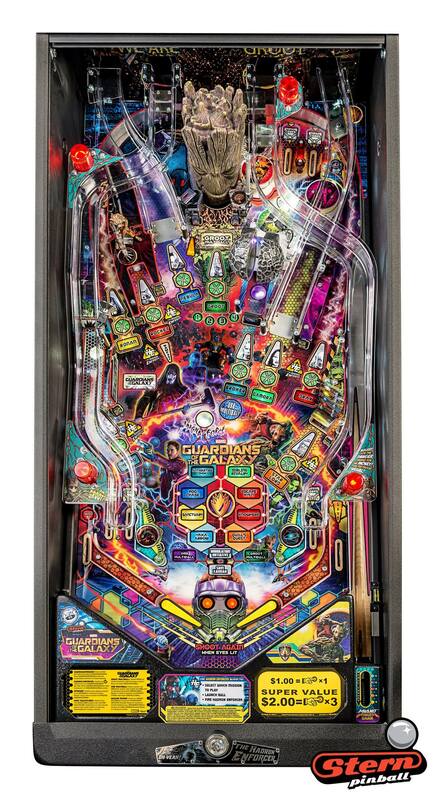 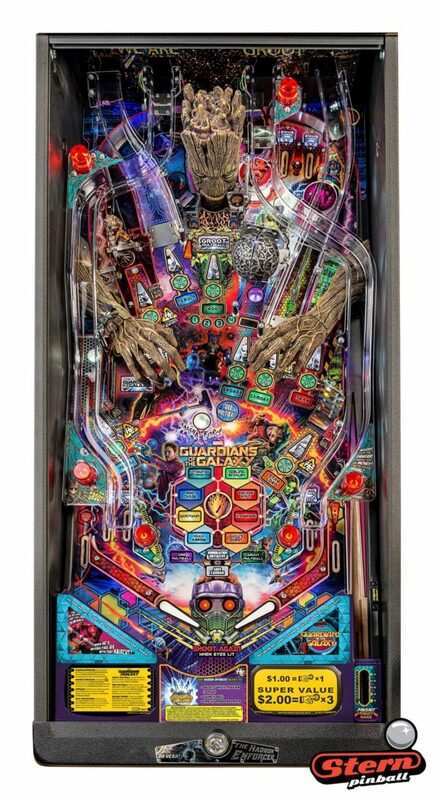 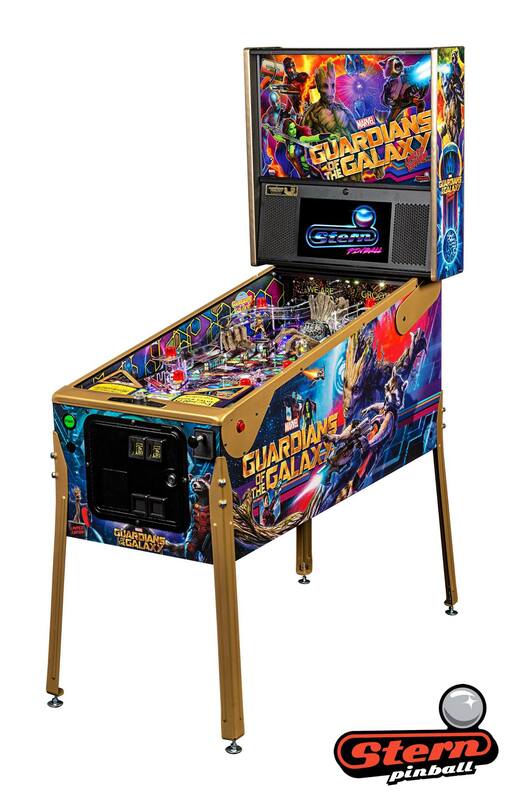 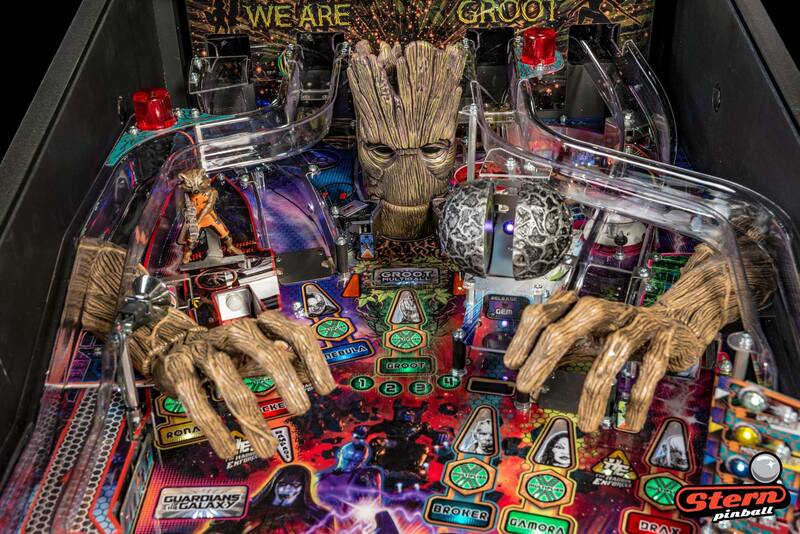 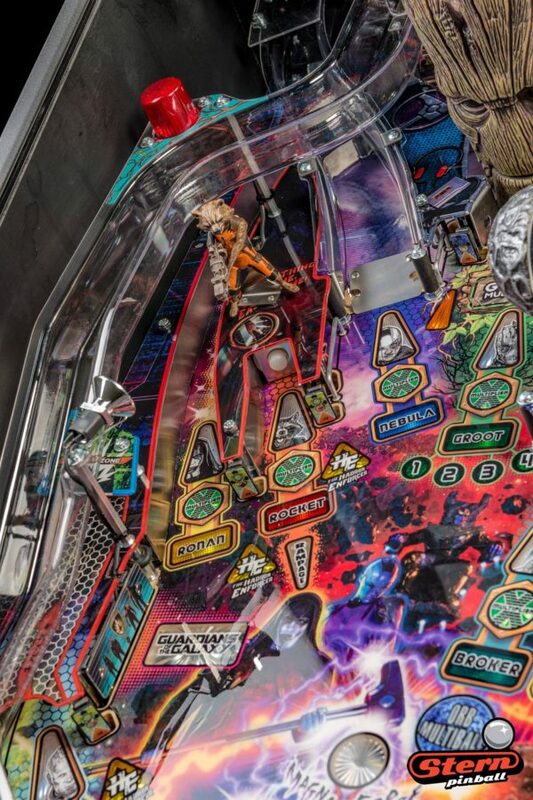 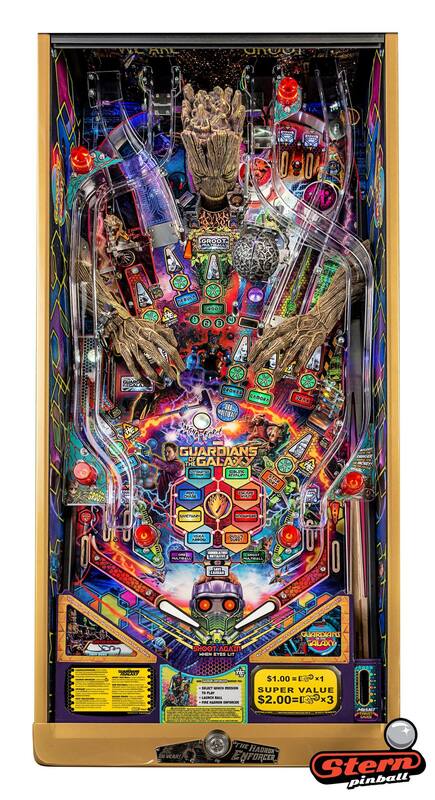 Stern Guardians of the Galaxy pinball machine for sale in Pro, Premium and Limited Edition versions. 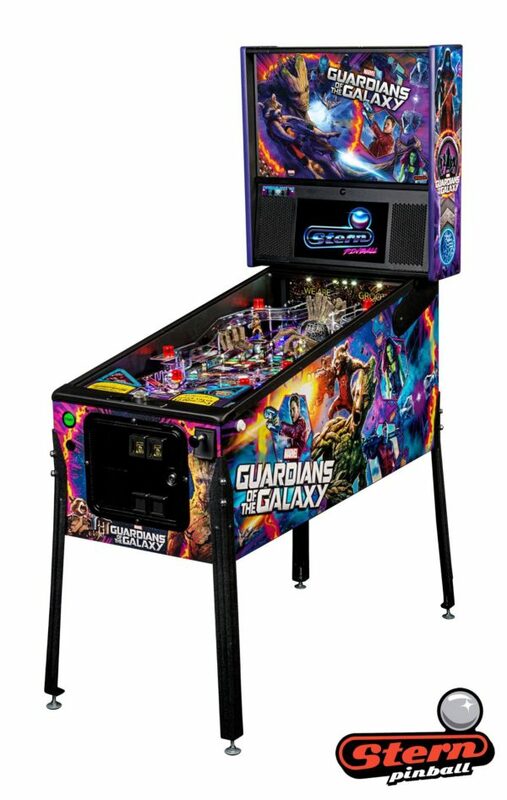 Stern’s Guardians of the Galaxy Pro, Premium, and Limited Edition models are packed with features that provide an irresistible gameplay experience. 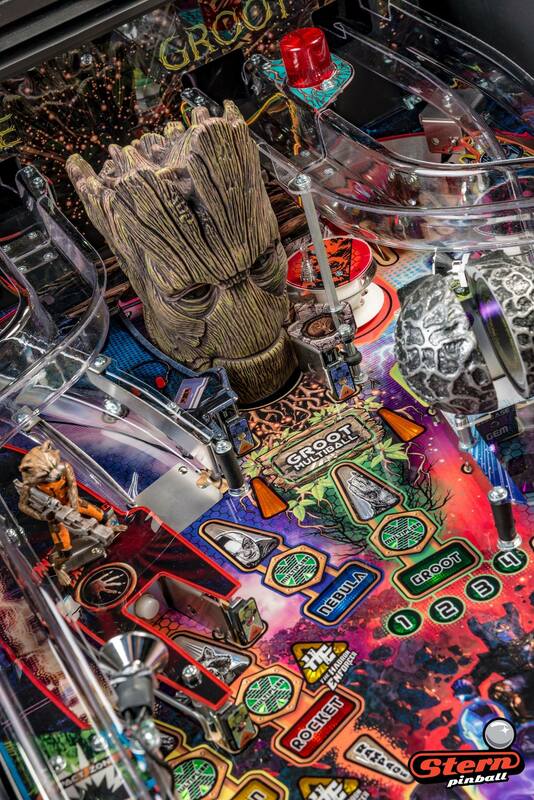 Each game features a sculpted and interactive ball-eating Groot. In addition, a custom sculpted Rocket figure will keep players on their toes as it blasts the ball back at rocket speed. Color-changing inserts highlight the mysterious and interactive Orb, which opens to reveal the powerful Infinity Stone. 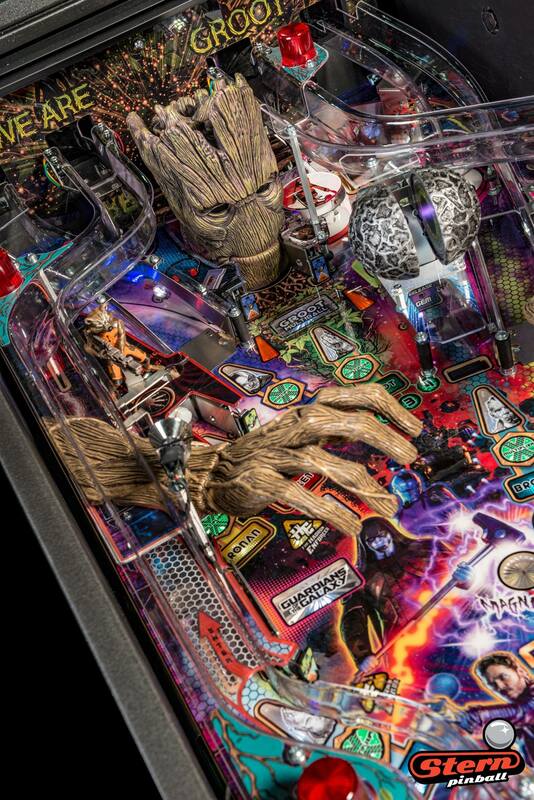 The Limited Edition and Premium models also feature extra magnets, custom artwork, RGB lighting, and sculpted Groot arms that sprawl across the playfield. 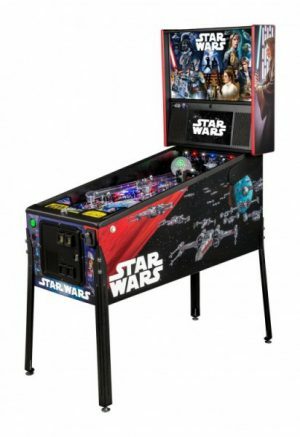 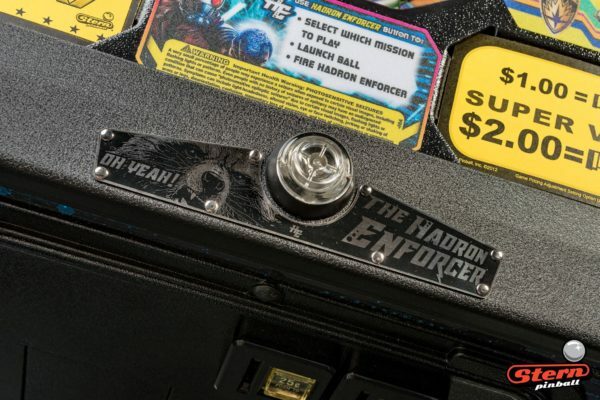 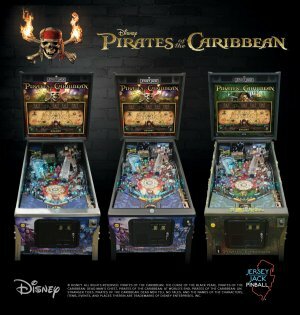 In addition to the immersive theme and exciting gameplay experience, Stern Pinball’s SPIKE-2 electronic platform enables high-definition graphics and innovative animations on the LCD screen.